JERSEY CITY, NJ — County Prep High School will host Kyle Marshall Choreography this weekend at the Earl W. Byrd Center as part of the school’s Choreographer in Residence Program. Performances of “A Program of Four Dances: Old and New” are scheduled for Friday, November 30 at 7:30 p.m. and Saturday, December 1 at 2 p.m.
A brief Q and A will follow each of the four performances: Parts of Colored, King, Horizon- in Process, and Pre Reign. Light refreshments will be served and tickets are available online here. Parts of Colored navigates the beautifully twisted spectrum of blackness that dancers Oluwadamilare “Dare” Ayroinde, Kyle Marshall and Myssi Robinson regularly embody. This work features original music by Matt Clegg and was commissioned in-part by “Dance on the Lawn” Montclair Dance Festival, EMoves: Harlem Stage, and Jersey (New) Moves at NJPAC. King uses Martin Luther King Jr.’s final speech, “I’ve Been to the Mountaintop”, as its impetus. Performed and choreographed by Kyle Marshall, King was commissioned by Harlem Stage to commemorate the 50th anniversary of MLK’s assassination. Horizon- in Process is performed by Oluwadamilare Ayorinde and Miriam Gabriel. 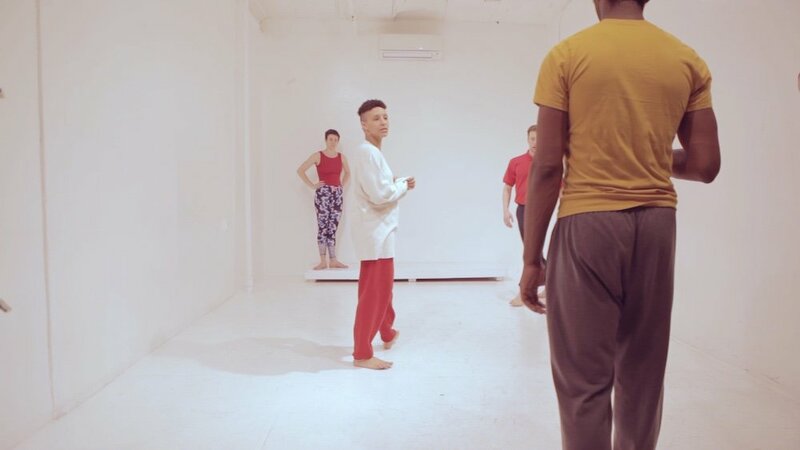 This work explores the tension of race, gender, and formalist dance. Pre Reign is shrouded in Christianity, Blackness, America and joy. Oluwadamilare Ayroinde, Bria Bacon, Miriam Gabriel, Kyle Marshall and Myssi Robinson are in a process to move and uplift a congregation’s spirit by creating a sanctuary for reflection, truth and dance in an age of unbelief. Kyle Marshall is a 2018 New York Dance and Performance “Bessie” Jury Award recipient and a New Jersey State Council of the Arts Fellow. His work has been commissioned by Montclair’s Dance Festival, NJPAC and Harlem Stage. The Earl W. Byrd Center is located at 535 Montgomery Street in Jersey City.